The startup Wannaby has won in the category "Augmented Reality". The application allows you to change the color of the nails using a smartphone. The RocketBody project has won in the Health and Fitness nomination. The application helps you in sports training and uses the ECG sensor to monitor health. Agro-startap Onesoil has won in the category "Artificial Intelligence and Machine Learning". The company created an interactive map of fields for farmers and collected complete information about them in the EU and the USA. Product Hunt is a website where new technology products are displayed. The project is supported by Y Combinator - the largest accelerator for startups in the world. 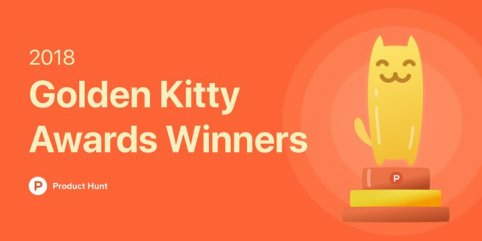 Golden Kitty Awards is an annual competition where more than 12 thousand start-ups from different fields compete.